The Japanese word "ko" in "kohaku" is "red" in English and "haku" is "white", respectively. In Japan, people have traditionally regarded this kohaku (red and white) pattern as the symbol of happiness from ancient times. Nobody knows the exact reason why people are grateful for it, though. 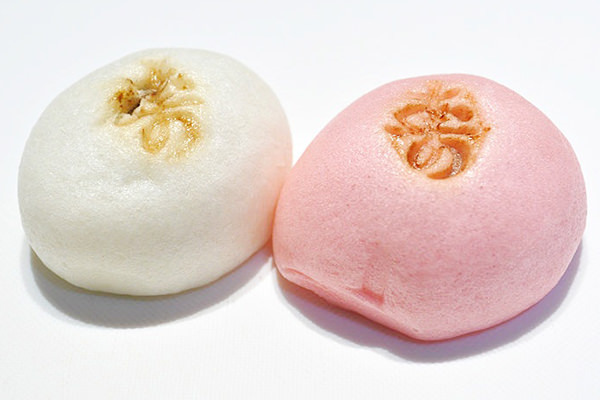 As its name indicates, Kohaku-manju is a pair of Wagashi (refer to #011) consisting of a red manju (refer to #077) and a white one. People don't usually eat them in daily life. 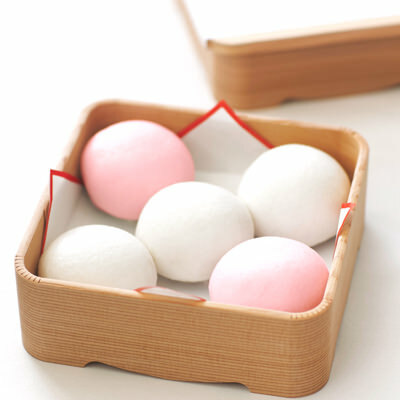 They are special confectioneries and conventionally served at an event to celebrate something such as a wedding and a Shinto ritual.